Diane de France, the daughter of Diane de Poitiers and Henri II of France, turned 15 on Valentine’s Day, February 14, 1553. 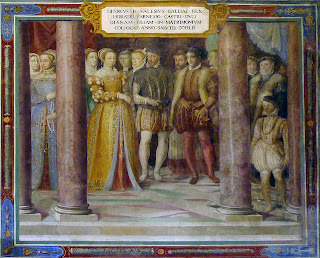 A day earlier, she married Orazio Farnese, Duke di Castro. 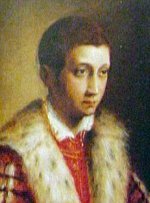 He had been born in Valentano, Italy in 1532, the second son of Pier Luigi Farnese, Duke of Parma and Gerolama Orsini. 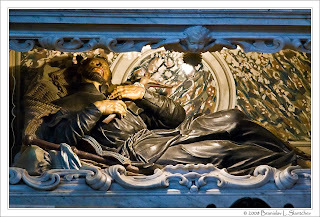 Orazio’s father was the illegitimate son of Cardinal Alessandro Farnese (who later became Pope Paul III). He was often referred to as the Pope’s nephew rather than his grandson. Orazio’s father was murdered in September of 1547. Henri signed the marriage contract in 1547, shortly after his coronation, when Petite Diane was only nine years old. In anticipation of the marriage, the Pope made Orazio the Duke of Castro. He was so pleased that he sent Catherine the Golden Rose, and Diane de Poitiers a pearl necklace from the Orient. Diane and Orazio’s happiness was to be short-lived. He was killed at the Battle of Hesdin on18 July 1553. There were no children from the marriage. 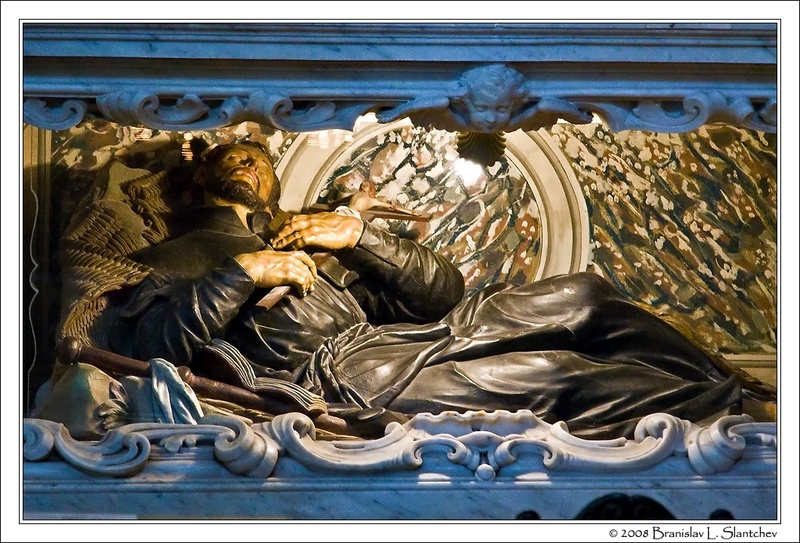 He is buried in the Church of Santa Maria Assunta, Venice. I didn't think Diane de Poitiers had any children by Henri II. Wikipedia says Diane de France was his daughter by another mistress. Diane de France WAS NOT a child of Diane de Poitiers. 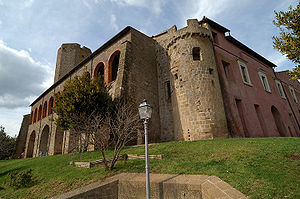 Henri II had her through his liaison with his Piedmontese mistress Filippa Duci. There was not even a hint, during her lifetime, that she was a daughter of the "elderly" Diane de Poitiers. Get your facts straighten and then...write history. In fact Diane was NOT that old that she couldn't have children. She was youthful for her age, fit and well enough able to have had her. In those days there would have been a huge scandal if Diane had been found to be carrying the King's child, so his young mistress was possibly used as a more acceptable carrier. She conveniently went to a convent shortly after whilst Diane helped to bring up the child. Why would she bring up another mistress' child - and why was she named after Diane? Because she WAS Diane's daughter. It all makes sense. Diane and Henri enjoyed keeping up the mystery. Wikipedia is renowned for its inaccuracies I'm afraid.. And please be polite Mr. Blanco! Carry on ladies. One of history's big secrets, to be sure! princess Michael of Kent (descended from Diane's daughter Louise) and I (descended from her daughter Francoise) both hold different opinions, and neither of us have any proof. My theory is that Diane would not have been so gracious had Henri expected her to raise Henri's child with another woman (especially named after her) and this is shown in how she reacted to Janet Fleming. I can see Diane and Henri smiling down on us with a twinkle in their eyes! Thanks for your interest in Diane!